Hauskaa lauantaita, tervetuloa Allsorts haasteen pariin! Viikon aiheena isot synttärit, ja numeroilla ilmaistuna! Hi; Happy Saturday, it's time for a new Allsorts Challenge! "Milestones, birthdays with numbers"
Both versions are gorgoeus! Love the vintage feel and such pretty embellishments! I love both versions but the second one is so pretty with the flowers picking up the background paper colours. Gorgeous stamp too. 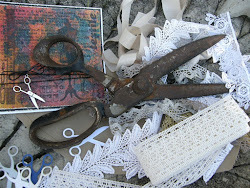 These are both beautiful, such a lovely vintage image and the design and embellishments are gorgeous. Thank you for playing along at Crafty Catz this week. Your first card looks really vintage with the well coordinated muted colors. Your second one feels fresh and feminine and love the pop of colors from the paper, ribbon and roses. A beautiful sophisticated image for a lady of more mature years Mervi, very fitting indeed. Wonderful vintage card Mervi, great design! WOW ! 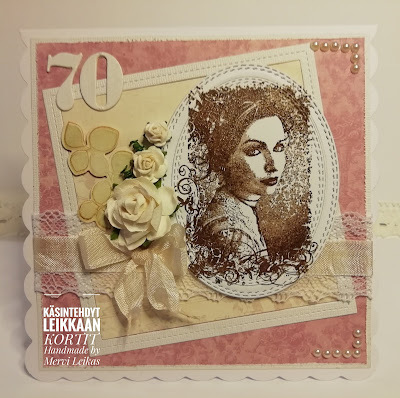 Two gorgeous cards with a lovely vintage look. 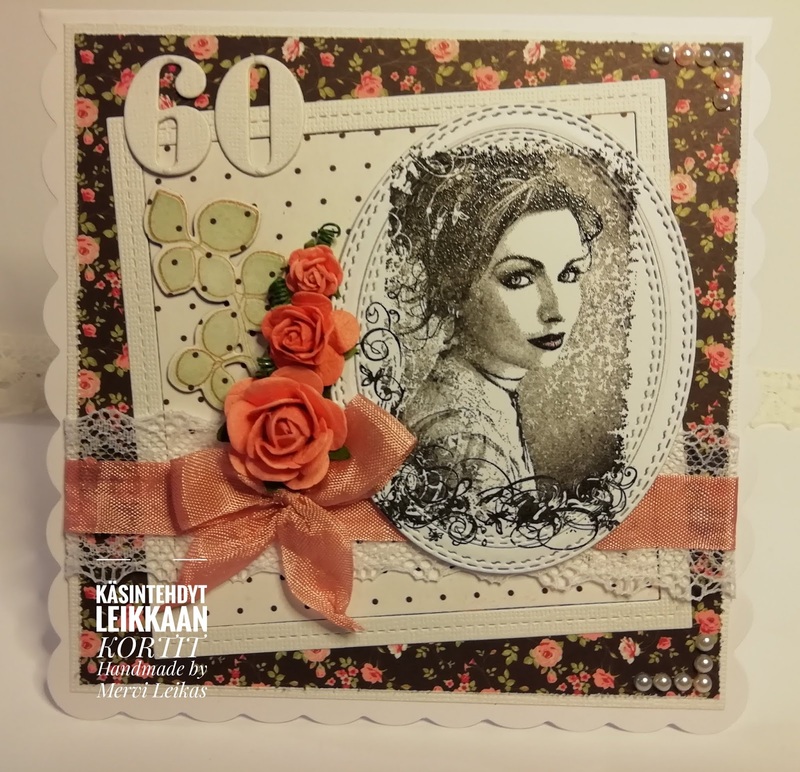 A really beautiful combination of papers, ribbon and flowers to celebrate special days ! Thanks so much for sharing and for playing along at Papercraft Challenges. These cards are adorable. So lovely vintage style.